It arrived today and went straight on: a good sign, right? I hadn’t been expecting much, because the smallest size available was “XS-S” which from experience, normally means sizing will be generous. It’s made from a 100% mix of man made fibres, so a tad over-priced in my opinion, but it’s as close as I’ll ever get to that gorgeous Rouje cable knit which was doing the rounds last winter. But, because the cardigan is made of a poly-acrylic mix, it’s quite soft, and snuggly, and less…er… static than just plain old acrylic! 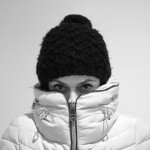 But yes, I probably will layer an off-white, thin turtle-neck under the cardi, once temperatures drop good and proper. The first thing to note is that it is a much nicer creamy-natural colour in real life, without the weird, pinkish hue (as per Mango web pics…) although it seems to have come out somewhat whiter than it actually is in my photos! I’ve left one sleeve unrolled, and double rolled the other one up – in truth, the sleeves are only a fraction too long for me: just enough for them to peep out of a coat, just the way I like the sleeves of my knitwear! Over all, regardless of the boxy shape, I was pleasantly surprised by the sizing. But it’s the actual length of the cardigan which might be the biggest deal breaker for most regular or tall range ladies… the cardigan only *just* sits on my hips: so I’d say it would be pretty cropped on any normal height ladies. If you love the look of the cardigan though, please don’t be put off by the shorter length: it’d be perfect with all your high-waisters, not to mention quite lovely if worn over any of your William Morris x HM shirt dresses? And plus – though it could do with patch pockets… it’s got flipping’ cool 70s style collars so… it’s a definite keeper! What about alternatives out there? Well, I’ve done quite a comprehensive search of the usual high street suspects (though not looked on ASOS) and there’s really not much out there in terms of Aran/Cable Knit cardigans, unless you’re after am oversized one. 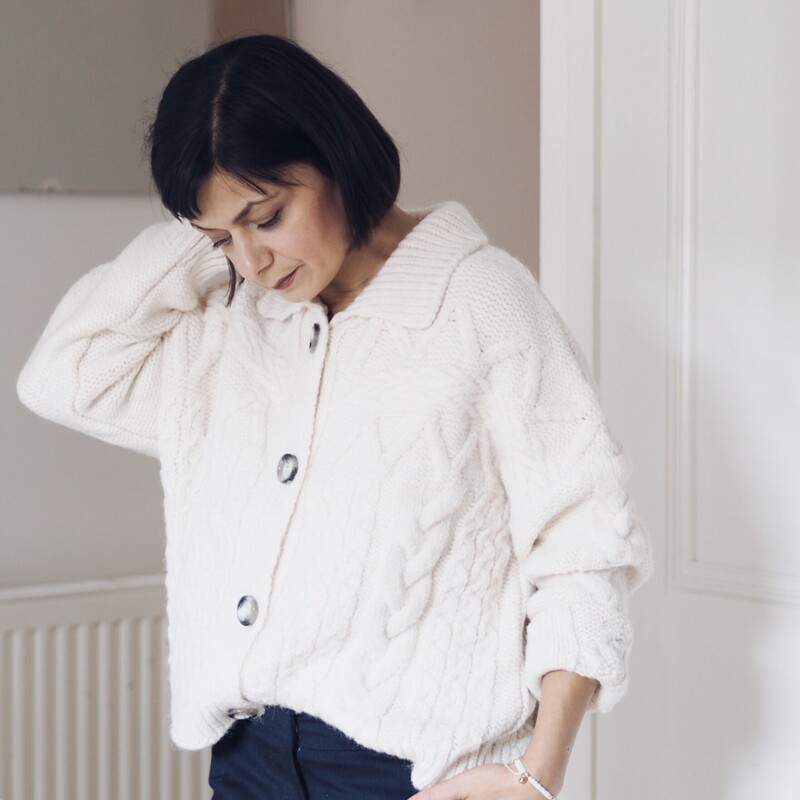 Although, there are plenty of cable knit jumpers out there! 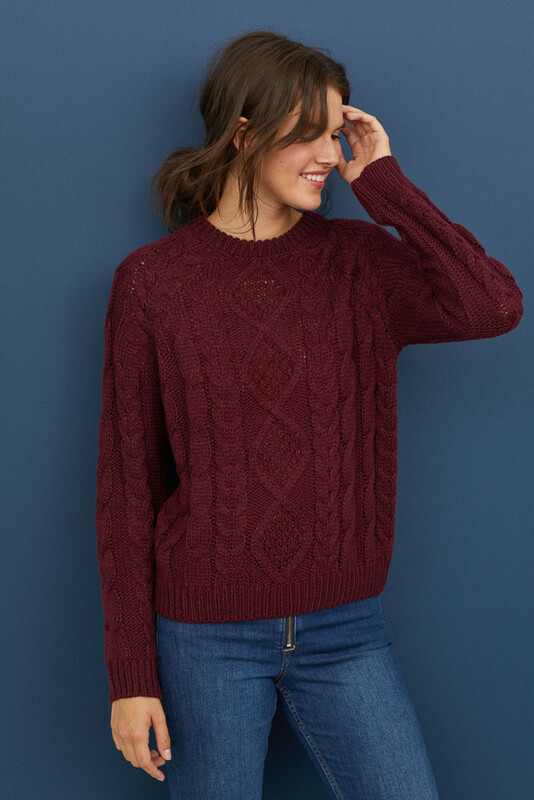 It’s probably the colour I’m drawn to, but this H&M Burgundy Cable Knit (£24.99) is, again, once that’d be great for Petites… you might have to turn the cuff up, but the proportions make it a good option for shorties. 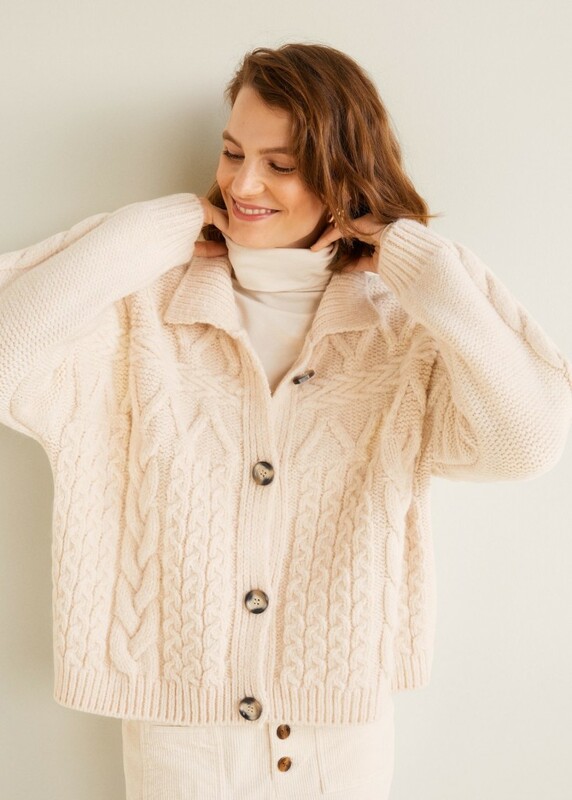 This is from John Lewis’ Somerset by Alice Temperley range so is a little pricier at £89 but then it is a 50/50 mix of natural and acrylic fibres. I prefer cable knits to be in natural earthy tones myself, so wasn’t so keen on this same sweater in Deep Pink, but… each to their own, right?! Unfortunately, it’s only available in sizes S and M, so I can only imagine I’d look like a small child wearing her Dad’s cardi if I tried it on! Not overly cabled (!) with a few bobbles in the mix… and a nice fitted style, which would lend itself so well to being tucked in. And how beautiful does the sweater look with those rust cords? 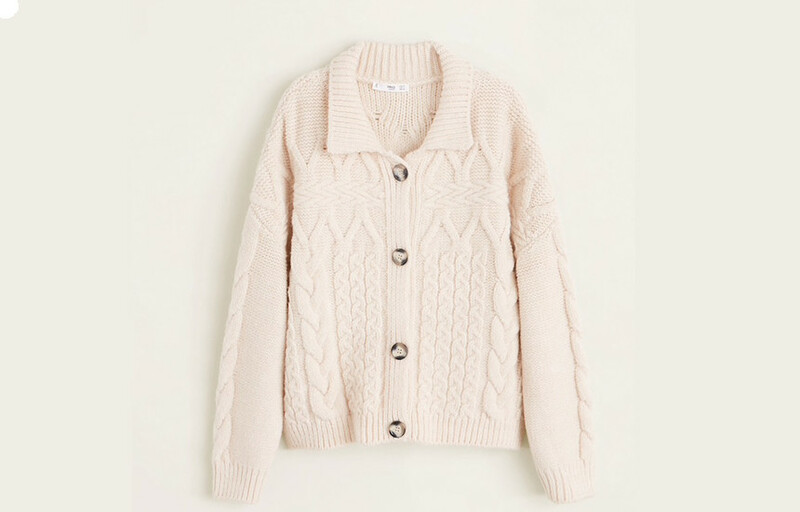 Do let me know if you’ve found other high street / budget end cable knit cardi’s? Leave a comment and I’ll get back to you. Right, it’s over and out from me – hope to catch you all again on Sunday.